Dr. Bidros is excited to offer the Patient Point System to his patients. 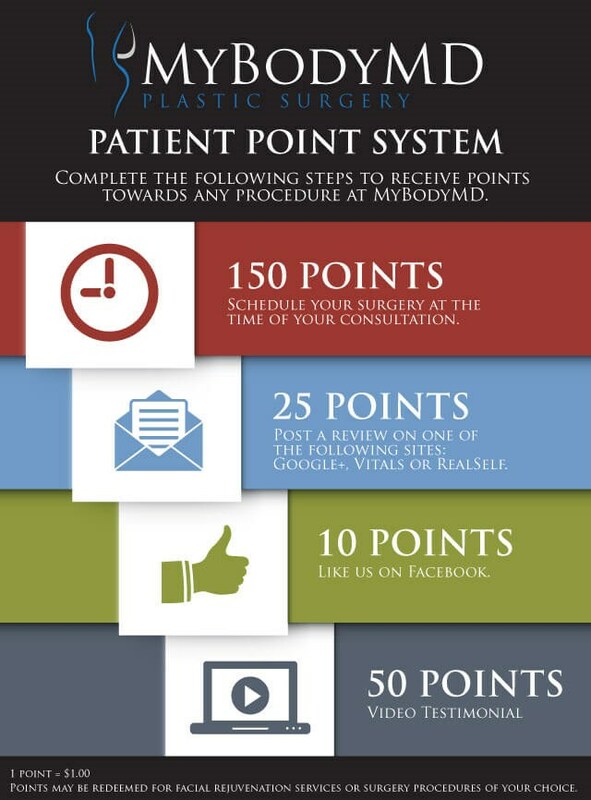 This system will allow you the opportunity to earn points towards services at MyBodyMD Plastic Surgery. Please contact us if you have questions or if you would like to participate in our Patient Point System – (713) 467-0102.